Convincing online shoppers to trust in your business can be difficult, which is why eCommerce sites need to use every method available to gain their trust. Displaying prominent SSL certificates, creating a welcoming About Us page, and providing excellent customer support are all ways in which eCommerce sites try to appear trustworthy. Another way to do this is through customer product reviews. When it comes to selecting a product, we often rely on the advice of others in our decision-making process. Customer product reviews are often the deciding factor for many customers to purchase a product from your website. Search engine optimization is an important part of any eCommerce site and product reviews can play a critical role in search engine rankings. When customers write reviews for your products, they are generating entirely new content on your site. More importantly, customers tend to write their reviews in the same way that they search for products, giving you an additional boost in SEO. Many might be surprised to know that bad product reviews can help a business as well. According to MIT Technology Review, some online shoppers will see bad reviews as risk mitigators, as long as they are specific. Consumers will become much more nervous at the absence of reviews than they will at reviews that rate certain products poorly. While some customers are more than happy to fill out a review free of charge, others won’t bother. In order to convince more people to review your products, it might be helpful to offer them an incentive. Discounts on their next purchase, an entry into a drawing for a prize, or free samples are all good ways to entice customers to write product reviews. Sometimes it is as simple as asking your customers to leave feedback on your products. Make it easy for them to do so by having a prominent banner on your site that allows them to leave product feedback. You can also send them a follow-up e-mail a few days after purchasing the product (don’t wait too long) and ask if they will write a review. Those who are worried about poor reviews may also benefit from implementing a rating system that allows users to rate other reviews. If you have long-time customers who are loyal, you can get additional reviews by asking them to review a product in order to make your site better for the future. Being honest will pay off, and loyal customers are more inclined to want to improve your business for them and everyone else. 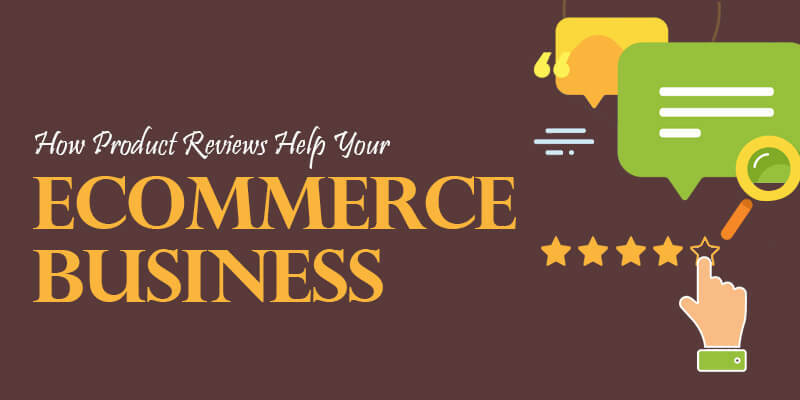 The more engaged your eCommerce site is with its customers, the more likely they are to leave reviews. When customers know that they are being heard, they will want to give their input to improve a product or service. It’s important that responses to negative feedback are positive and try to make the consumer happy by rectifying the situation. Responding to these reviews allows customers to be more engaging, and good customer service always pays off. Don’t Underestimate Customer Product Reviews! Customer product reviews—whether they are good or bad—play an important role in your business’s success. Not only do consumer product reviews give you a boost in search engine rankings, but they can also increase conversion rates by persuading consumers to purchase a product.By allowing customers to leave product reviews, your business creates an engaging community that may lead to even more sales.